In our last blog we touched on the top 2014 wedding trends. Today is all about food fads! We’re well into the 2014 wedding season and we’ve got all the latest food crazes right here. Let your favorite Raleigh NC caterer make your big day a dream come true. Engage your food by being interactive! It’s okay to play with your food! One of the hottest food trends this year are DIY food stations. These are successful for a wedding during any time of the day. Not only are they great for keeping the conversations going but the guests can just help themselves. Some great ideas are waffle stations for brunch, adult snow cones or a mimosa bar for afternoons and a creamy mac-n-cheese bar for evenings. Breakfast anytime! Brunch is really in style since daytime weddings are more affordable than afternoons or evenings. A wedding brunch is well-liked because you have some creative freedoms, can make lots of interactive stations and they’re outside the norm. Think waffle or pancake bars, an omelet station and DIY mimosas or bloody marys. Think Fresh and Keep it local! The best Raleigh NC caterers use fresh, seasonal ingredients sourced locally. Not only does the food just taste better but this approach appeals to brides and grooms that want to keep their menu focused on delicious, good-for-you options. Rural and Rustic! Rural and rustic is very trendy right now. Food is usually served family style, with buffet tables instead of formal, round tables. Interactive food stations such as an updated mac-n-cheese bar would be something both kids and adults would enjoy. Miniaturize! Fun, fun, fun! 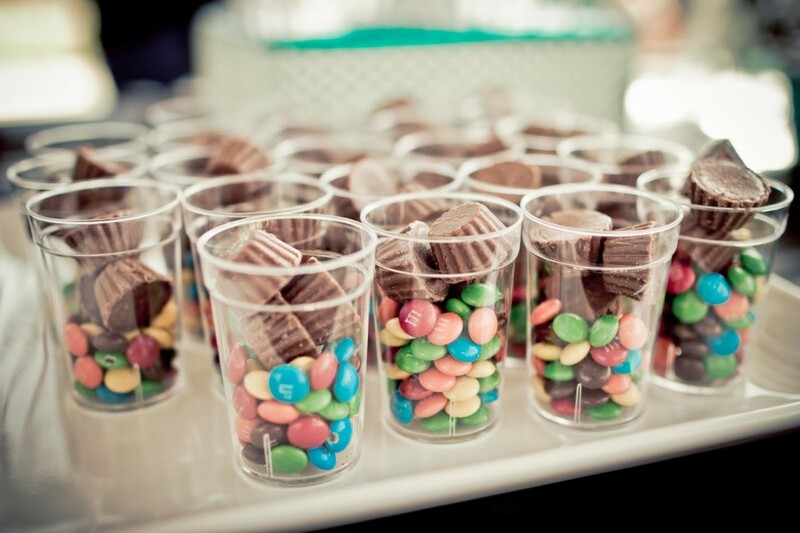 Mini food items are perfect for any type of wedding as your options are virtually endless. A miniature version of your favorite meal can have more of an impact then their full sized equivalent. You can feature mini cheese steaks, petite burgers or use different types of shooters for appetizers or desserts. Don’t forget Dessert! Want to make a big impact on your guests? This idea is hit for all ages … have an ice cream truck for dessert. One of the biggest 2014 wedding trends are couples incorporating fun into every aspect of the food! Whether you serve to-go goodies, miniature dessert shooters or have an ice cream truck; the more fun you can have with your guests the bigger the hit your wedding will be. Catering By Design will be displaying at booths 408-410 this Sunday for The Southern Bridal Show & Expo. Located inside the Jim Graham Building at the NC State Fairgrounds, future brides and their grooms can taste delicious samples from our menu and register to win free China for their catered wedding! A $5.00 per wedding guest value! Come see all the new trends and treat yourself to deliciousness provided by the best catering company in Raleigh, NC.